4k00:10A close up of a mixed ethnicity African American woman wearing a pink shirt as she sets a used shiny red tea kettle with round black handle and chrome spout on a stove to warm up and turns the dial. 4k00:15Close up of a vibraphone in a french medieval church. This ancient building is a classical french catholic edifice full of heritage. 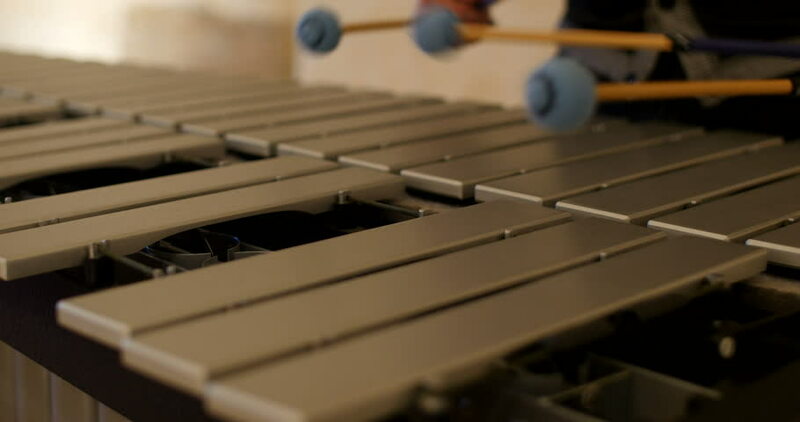 Enjoy the beauty of this vibraphone.